Welcome to episode five of the Multiple Streams of Income Podcast. My guest in this episode is my longtime friend and mentor, Mike Crosby, of Halifax Nova Scotia Canada. I’ve known Mike since I was probably 10 years old, when my father purchased my first fly rod and reel at his tackle shop (Mike’s Tackle Shop). Ever since, I have been motivated and inspired by Mike’s ability to strive in business. Mike and I have kept in contact over the years, discussing our business ventures and of course, sharing lots of fishing stories! Mike shares his career journey with us, along with some valuable time management and time saving tips. 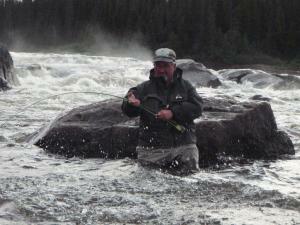 Mike will also explain how he is able to spend several months each year fly fishing for Atlantic Salmon, while still maintaining a good income. MikeCrosby.com – Mike Crosby’s personal website portal. Mike Crosby on Facebook – Mike’s personal Facebook page. SalesVideos.com – There is simply nothing more important for your business than to have compelling video that quickly and effectively educates and captivates your potential customers. 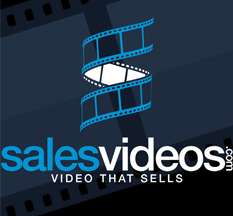 SalesVideos.com offers high quality generic and custom sales videos that can do all of the telling and selling for you 24 hours a day, 7 days a week, 365 days of the year.